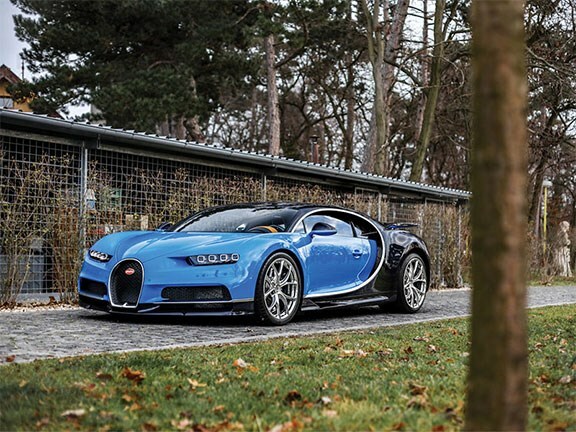 Bugatti Chiron sells for $5.19 million! $5,194,823… think about what you could spend that amount of money on, a house, a mansion, maybe even a small island somewhere, you could do it all with near-as-makes-no-difference $5.2 million dollars. Or, if you’re a very wealthy chap or chapette who fancies automobiles, you could opt to use that money like somebody did at RM Sotheby’s Paris auction last week, and spend it all on one car. That’s right, some very lucky bugger fancied a car so much that they were willing to part ways with enough spondulicks to give the Sydney housing market a fair crack. Now, I know what you’re thinking, that’s an absurd amount of money for a car, but the really crazy thing is, it might be worth it. That’s because the car sold was a 2017 Bugatti Chiron, and for those of you who don’t know what that is, it’s one of the fastest and most technologically advanced production cars on the planet. We could spend hours writing about all the mechanical specifications of this piece of automotive wonderment, but the salient facts are these; 1119kW (1500hp) from a quad-turbocharged, 8.0lt W16 motor, 0-100 km/h in 2.3 seconds, 0-160km/h in 4.8 seconds, a standing quarter-mile time of 9.4 seconds and a top speed limited to 420km/h. The Chiron that was sold at RM Sotheby’s was one of the first 20 to be delivered to customers and is finished in a simply gorgeous two-tone colour scheme of Atlantic Blue over French Racing Blue with a contrasting brown, quilted leather interior. It also has the added benefit of travelling less than 1000 kilometres from new and, according to the auction house, half of that mileage would have been test mileage, so the 420km/h rocket ship is virtually brand new.